In a statement, the head of the ICRC delegation in Nigeria, Eloi Fillion, said he was “devastated” by her murder, noting that she was moved to Rann “to selflessly help those in need”. The UN Resident and Humanitarian Coordinator in Nigeria also condemned the killing. “This incident demonstrates the severe challenges that Nigeria continues to face, but it will not deter the international community from providing aid to millions of Nigerians caught up in the conflict in the northeast,” Edward Kallon said. 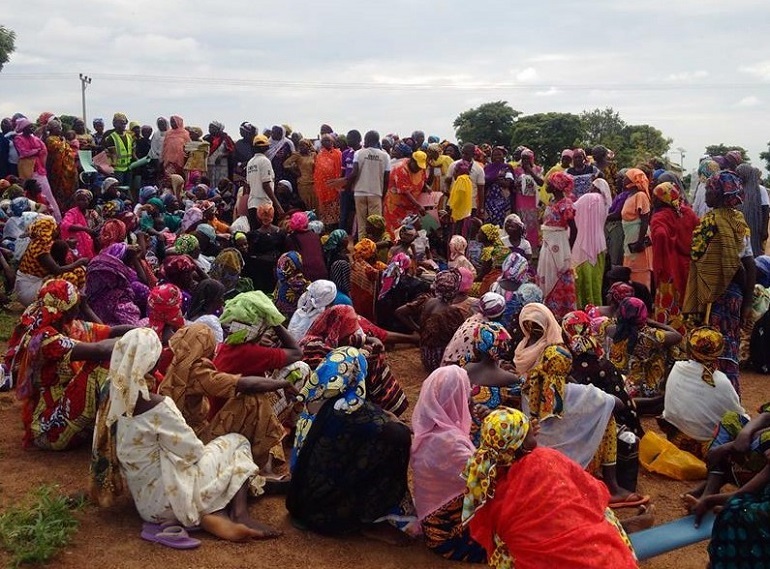 Dozens, including three UN aid workers, were killed during the March abduction, which was attributed to a breakaway faction of Boko Haram, also known as the Islamic State West African Province (ISWAP). The victims were named as Emmanuel Yawe Sonter and Ibrahim Lawan, who worked with the International Organization for Migration and Dr. Izuogu Onyedikachi, who worked with the UN Children’s Fund (Unicef). A number of soldiers also lost their lives. The two other female aid workers kidnapped during that incident, and who remain in captivity, are Hauwa Mohammed Liman, another midwife working for ICRC, and Alice Loksha Ngaddah, a nurse working with Unicef and mother of two (a boy aged five and a girl aged two). World Watch Monitor learned that Alice’s mother, Sarah, died of trauma just two months after her abduction. At the time of the abduction, the three health workers were providing essential antenatal care to communities in Rann, whose population has more than doubled after an influx of people fleeing violence, ICRC said. Boko Haram’s nine-year insurgency has claimed more than 20,000 lives and displaced more than 2 million. The international response in Rann is providing life-saving assistance – including food, safe water, shelter and medical care – to over 60,000 internally displaced people, and millions of others in the northeast of the country, said the UN humanitarian affairs office (OCHA). The UN described the humanitarian crisis in Nigeria’s northeast as one of the most severe in the world today, with 7.7 million people in need of humanitarian assistance. In recent months, ISWAP has issued a number of messages aimed at putting pressure on the Nigerian authorities to pay ransoms. In an audio message released in August, and obtained by the Nigerian journalist, Ahmad Salkida, who has unique access to the radical Islamist group, the three aid workers called on President Muhammadu Buhari to secure their release. “We were there for the vulnerable; now we are vulnerable … For the sake of God, for the sake of Allah, President Muhammadu Buhari, come and help us. Come and vindicate us from this captivity,” they said. Three months earlier, in May, the three hostages issued a similar message. “We are really helpless and hopeless; please rescue us and vindicate us. Our families need us back and the entire nation at large,” the three aid workers wrote in a handwritten note obtained by the same source. 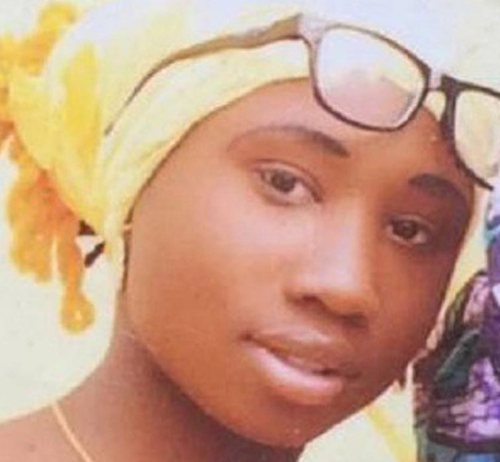 In August, Leah Sharibu, who was abducted from her school in Dapchi, in north-eastern Yobe state, in February, also asked Nigeria’s president to intervene and help facilitate her release. In a 35-second audio recording, obtained by Salkida for The Cable, the 15-year-old, who was the only Christian among the 110 schoolgirls kidnapped and therefore the only one detained, asked for help for her family and herself. According to The Cable, this proof of life was a requirement in possible renewed negotiation efforts between the government and ISWAP. According to Emmanuel Egebe, a Nigerian activist based in US, the killing of the female worker signalled a shift in Boko Haram’s strategy. “To my knowledge this is the first execution by Boko Haram of an aid worker for failure to respond to a demand,” he said in a statement this morning. “Boko Haram generally executes Christian males who refuse to convert, men and women – Christian or Muslim – who work for security services … It is contrary to Boko Haram’s rules of engagement to execute Muslim women, and when you don’t think they can sink any lower, they hit a new nadir!